Carnegie Mellon University alumna Emily Wazlak wants to change the way society celebrates women while helping to close the gender gap in entrepreneurship and fundraising. 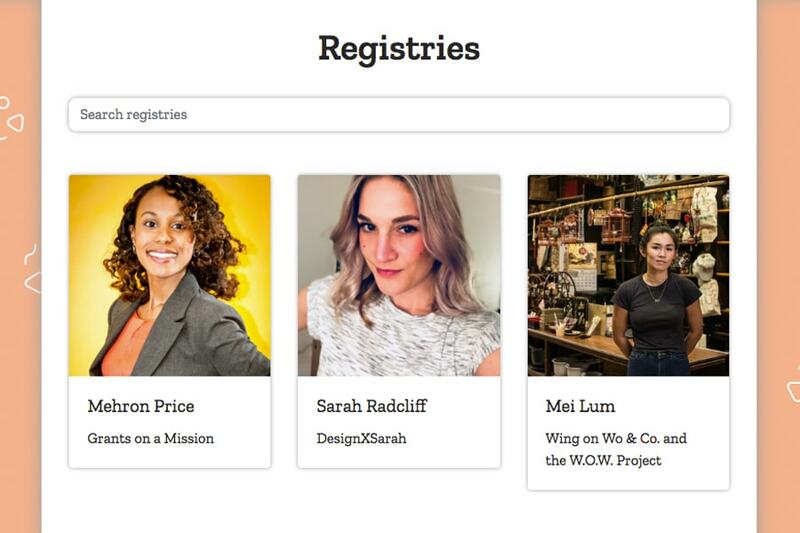 Through the Shine Registry platform, women starting businesses create registries of products and services they need to get their enterprise off the ground. Items requested on the registry may be small, like office supplies or Instagram follows, or they might be big, like pro-bono web development, marketing or legal help. "If you talk to entrepreneurs, their needs vary a lot based on the types of businesses they're starting and where they are in the development of the business. But the need for support remains fairly consistent over a period of time," said Wazlak, who received her master's degree in public policy and management from the Heinz College of Information Systems and Public Policy in 2017. As an undergraduate at Mount Holyoke College, Wazlak was a Public Policy and International Affairs Program Junior Summer Institute Fellow in 2011. "We have it set up so people can make monetary and non-monetary asks. It's not just about crowdfunding a certain amount of money, it's also about little things that can encourage people along the way. Small gestures can make a big difference." When a founder creates a profile, their registry can be browsed by anyone, not just friends and family. That allows people from outside a founder's personal network — say, supportive community members or simply individuals who are enthusiastic about entrepreneurship and new ideas — to find ways to contribute. Recent shifts in the public sphere — such as the #MeToo movement and historic numbers of women running for office in the U.S. — make Shine Registry all the more relevant right now, Wazlak said. Women outperform men in reaching crowdfunding goals. Wazlak said Shine Registry can help change the conversation. "The platform emboldens women to think bigger about what they might ask for and then facilitates a space for that. It's been really exciting to see people get what they ask for on their registries," she said. She added that seeing women ask for big things and get them can encourage a culture around it, prompting other women to do the same. Prior to pursuing her public policy degree, Wazlak spent several years working in political organizing and advocacy, including four years in D.C.
"There was a huge benefit for me in going through a public policy program before starting a business. It gave me a systems-level perspective on social issues like gender equity, and it gave me a way to think beyond the bottom line. That's exciting for me," Wazlak said. "Complex problems often need complex solutions, and it's helpful to have a toolkit that gets you comfortable around data and quant, and being comfortable with scale." While at Heinz College, she was excited by the startup culture at CMU. She reached out to Project Olympus, a startup incubator program run out of CMU's Swartz Center for Entrepreneurship. Funding from Project Olympus helped Wazlak create the launch version of Shine Registry's website. "I just emailed [Project Olympus] and set up a meeting. It was as simple as that. CMU is a big school but people are really open and approachable," she said. In addition to taking courses in management and social innovation at Heinz College, she also took classes at the CMU School of Design as well as a course in human-computer interaction at the School of Computer Science, which gave her the skill set to build out the first wireframes for the Shine Registry website. Shine Registry joined the Ascender incubator in Pittsburgh earlier this year, just a few months after Wazlak graduated. 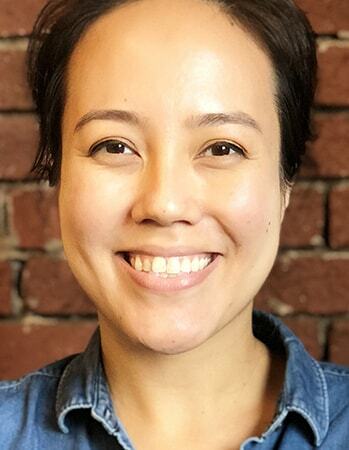 She says she originally didn't intend to stay in Pittsburgh when she came here for grad school, but now is thrilled to be part of the city's booming tech scene. "There's a lot of enthusiasm and excitement around building new things in Pittsburgh right now," she said.